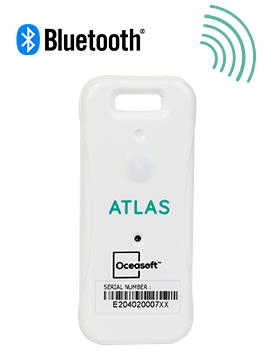 OCEABridge is a gateway device that automatically collects readings from Bluetooth-enabled Atlas and Emerald temperature data loggers wirelessly. Simply install your OCEABridge gateway in a loading or unloading zone, or product handling area. Then, configure your gateway using the integrated web interface and activate automatic data collection. 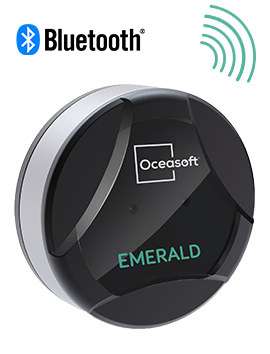 Whenever OCEASOFT Atlas or Emerald Bluetooth-enabled temperature data loggers pass withing range, OCEABridge retrieves their stored data wirelessly without any human intervention. Data is automatically transmitted to the OCEACloud platform, where it accessible 24/7 via a the OCEAView responsive Web application for smartphone, tablet, and full-sized computers.